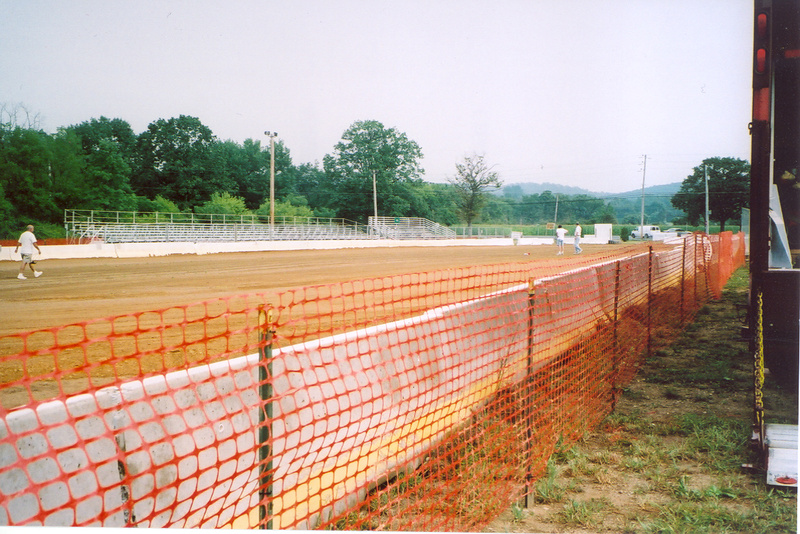 Walk of Fame, and at Big Diamond in the Hall of Fame. 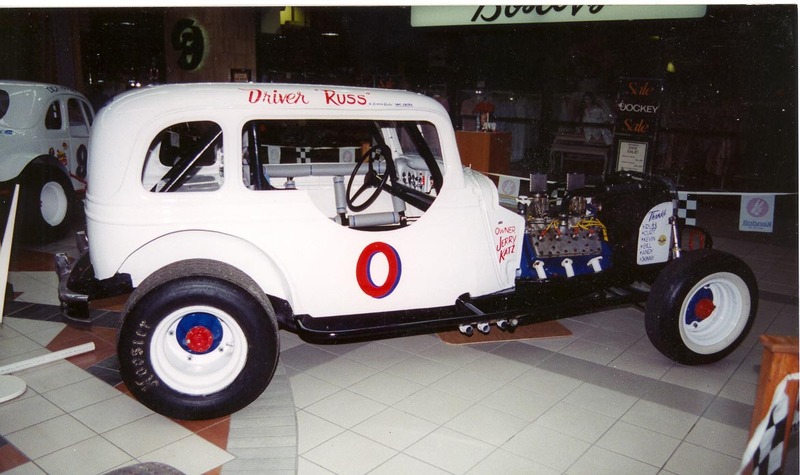 Russ lives in the Reading area and is still racing. 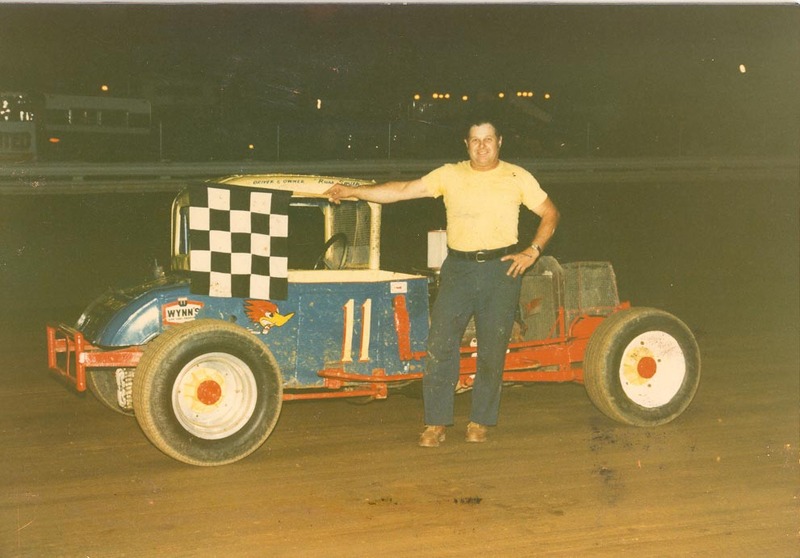 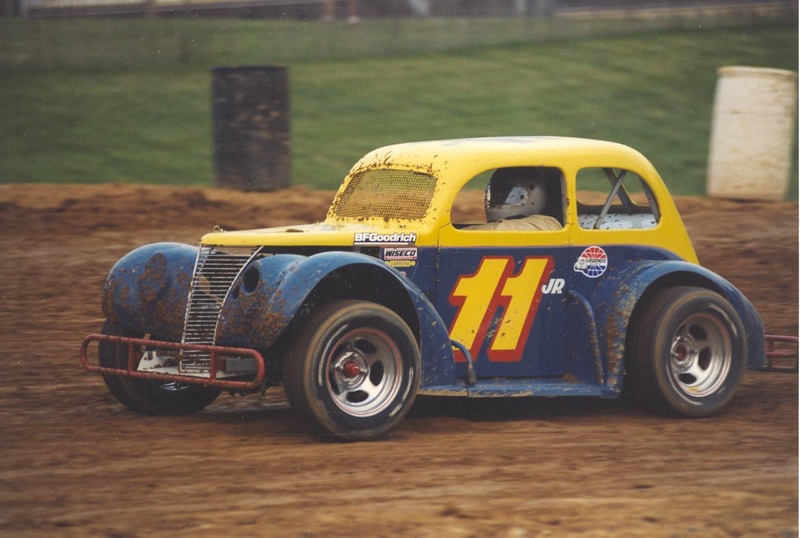 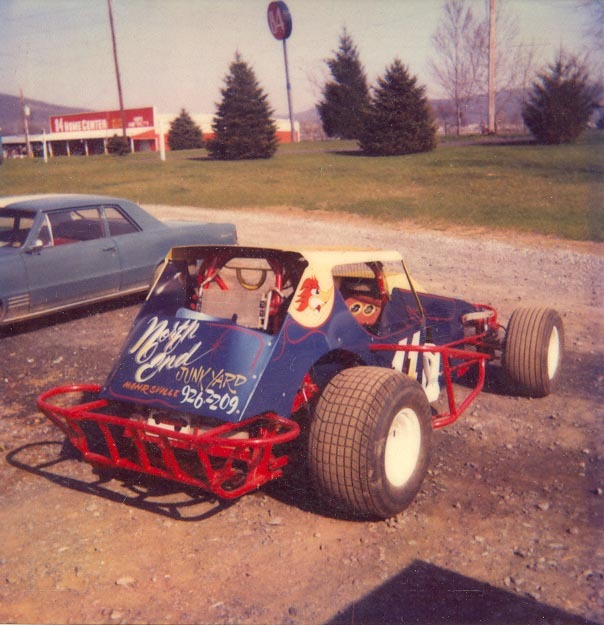 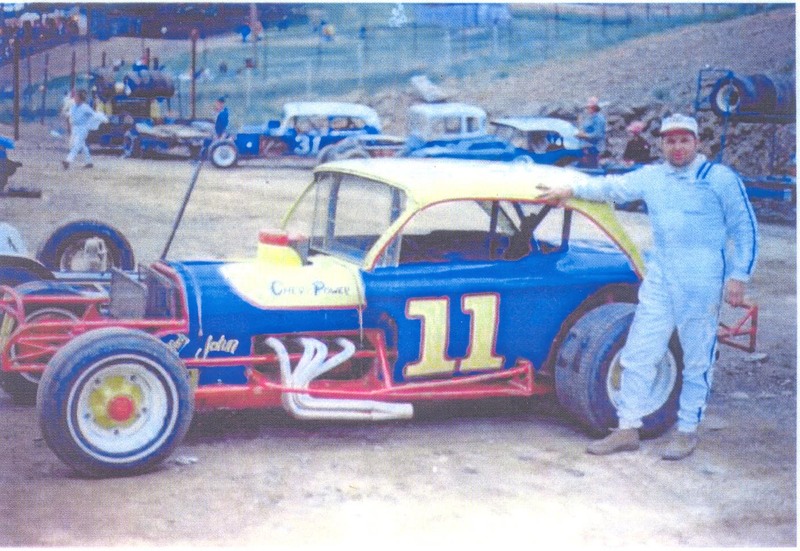 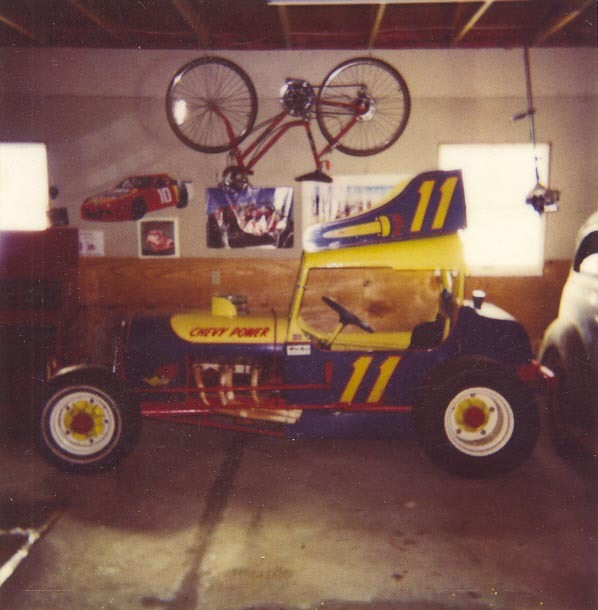 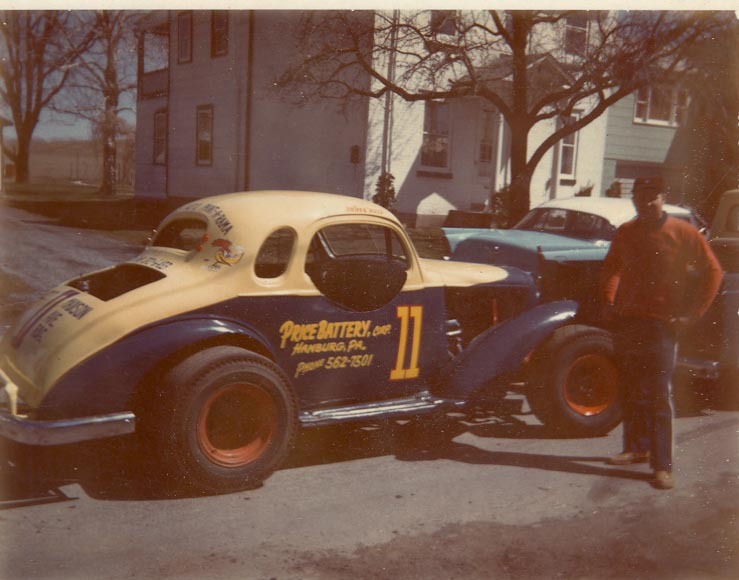 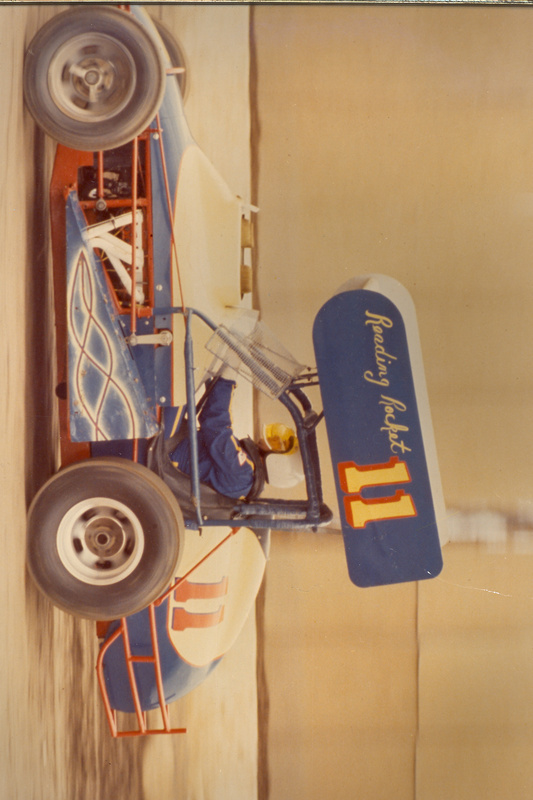 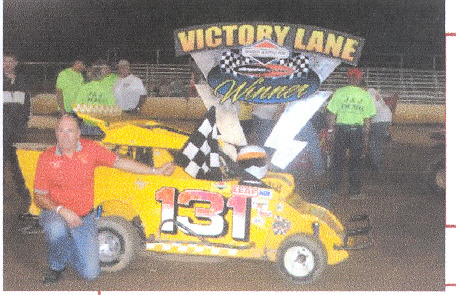 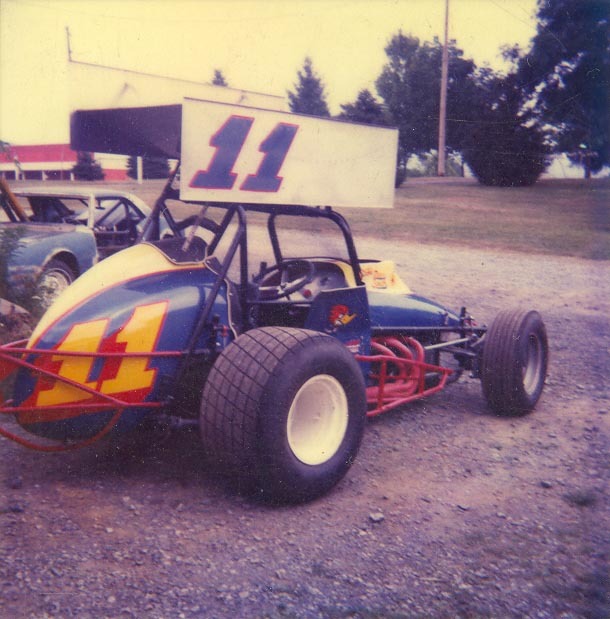 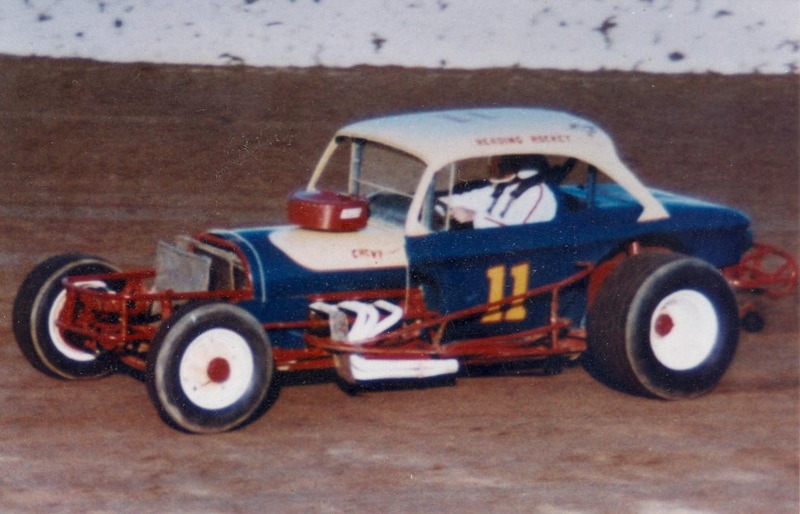 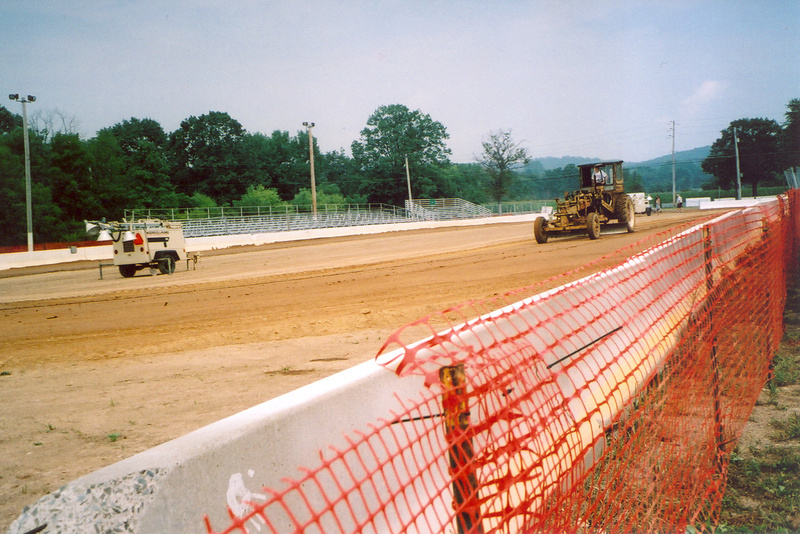 "Reading Rocket" uniform, behind the wheel of the Blue and Yellow Legends Car #11 Jr. As of January 2005, Russ was inducted into the York County Hall of Fame." 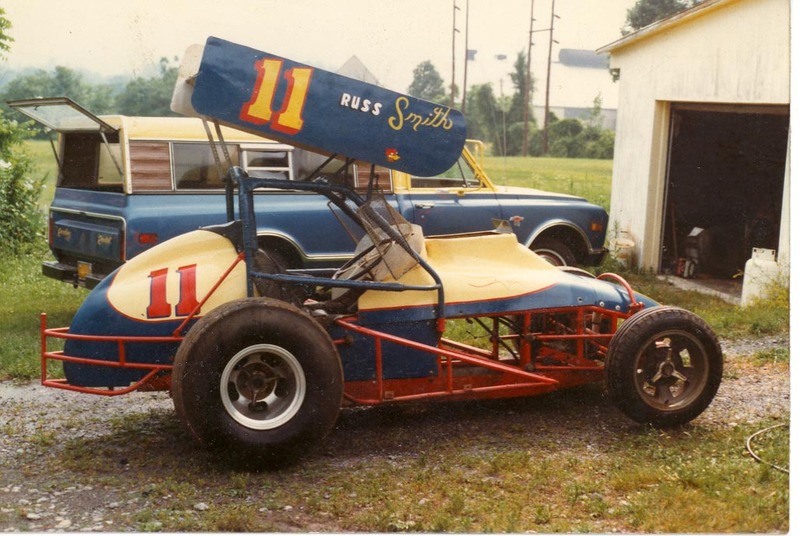 The following pictures display cars that were driven by Russ Smith through his career. 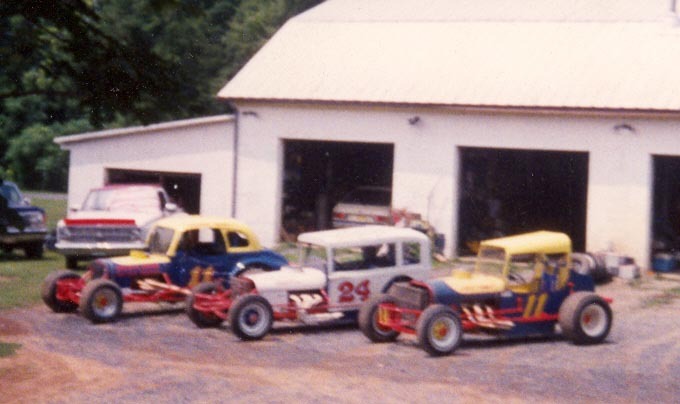 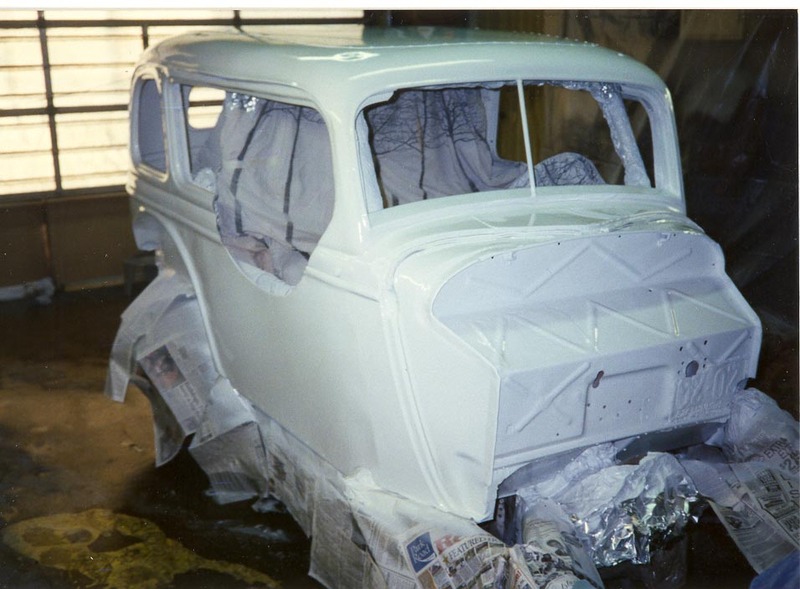 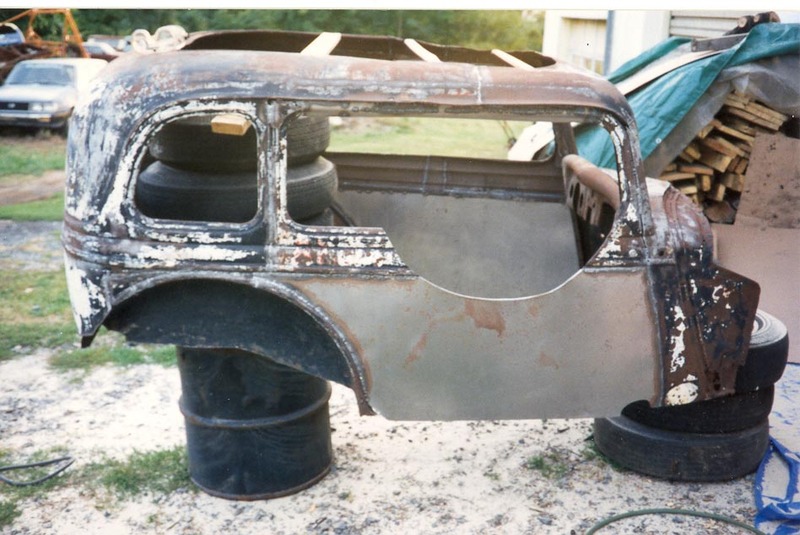 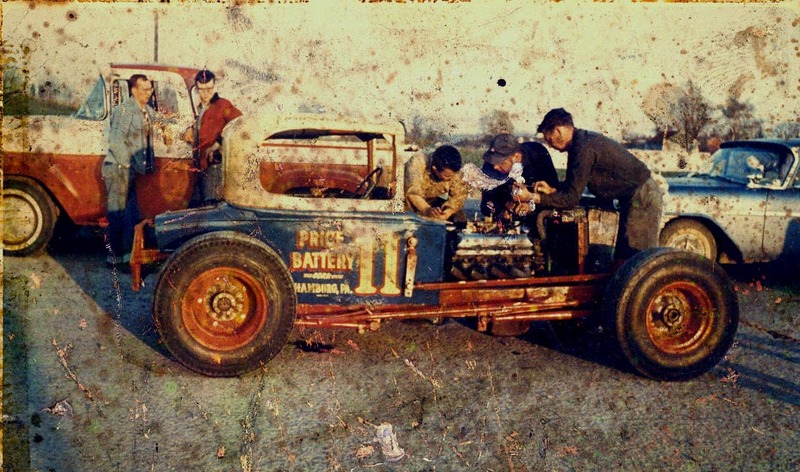 After years of racing, Russ takes time to help friends restore vintage race cars. 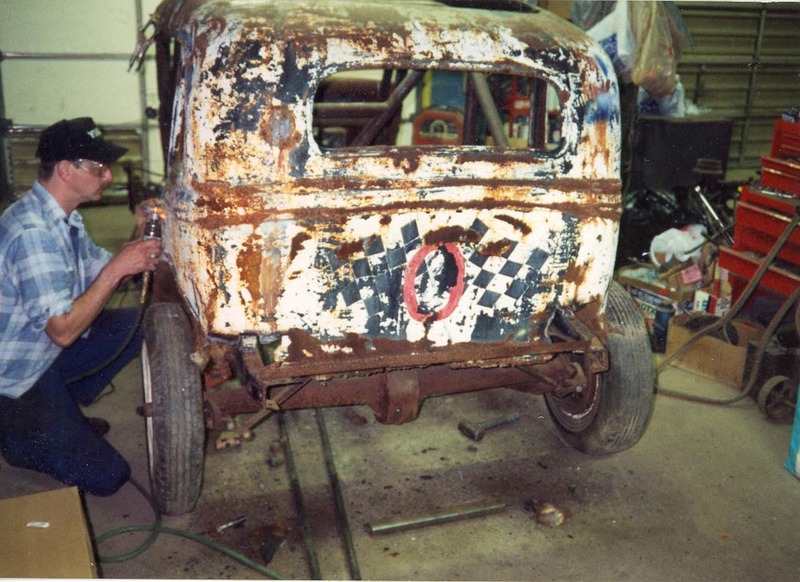 Here he is helping to restore the Jerry Katz #0 car with Dave Janssen. 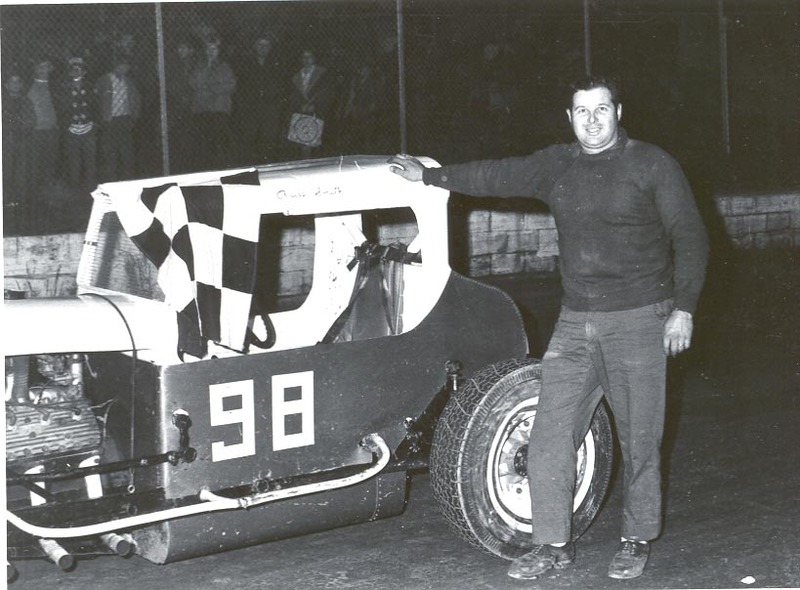 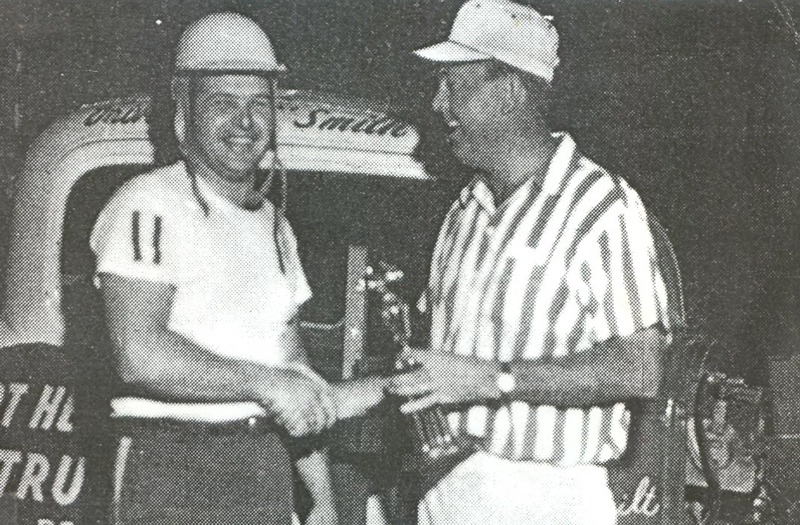 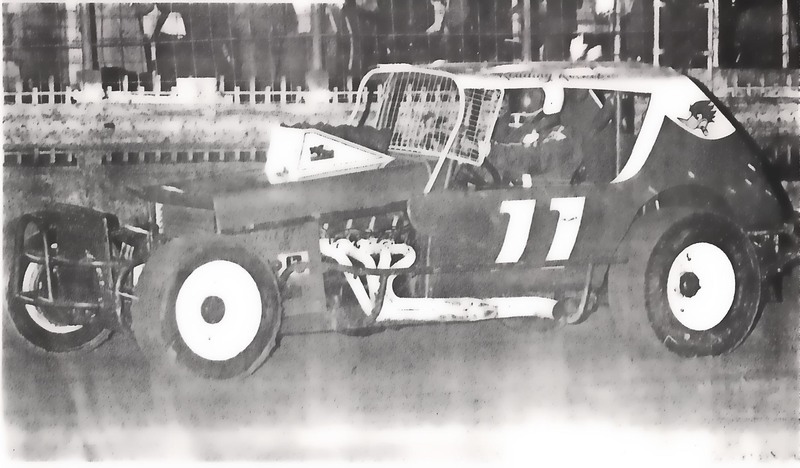 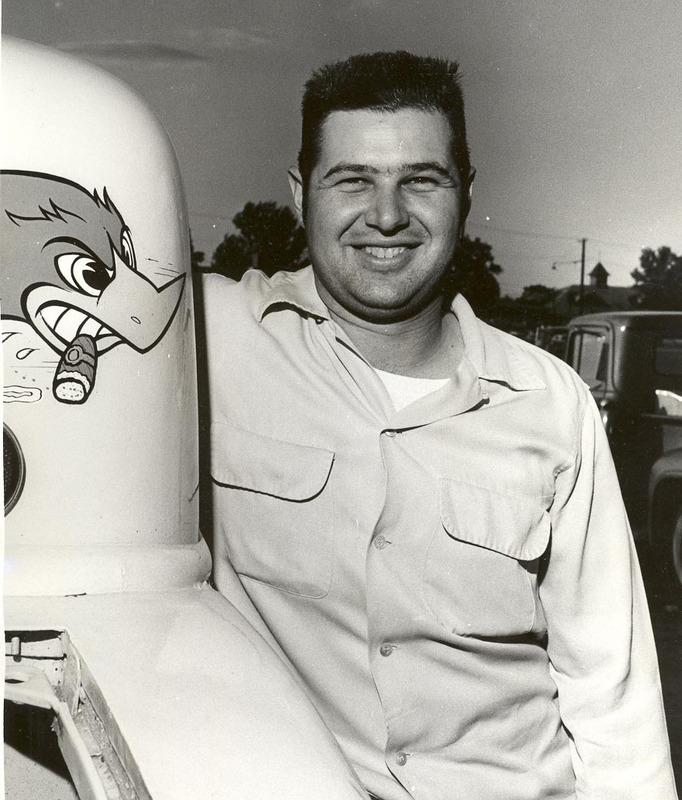 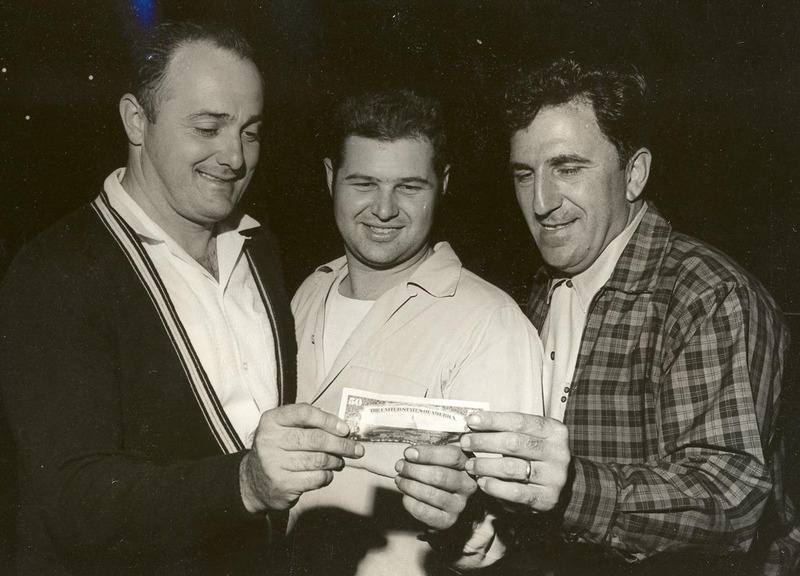 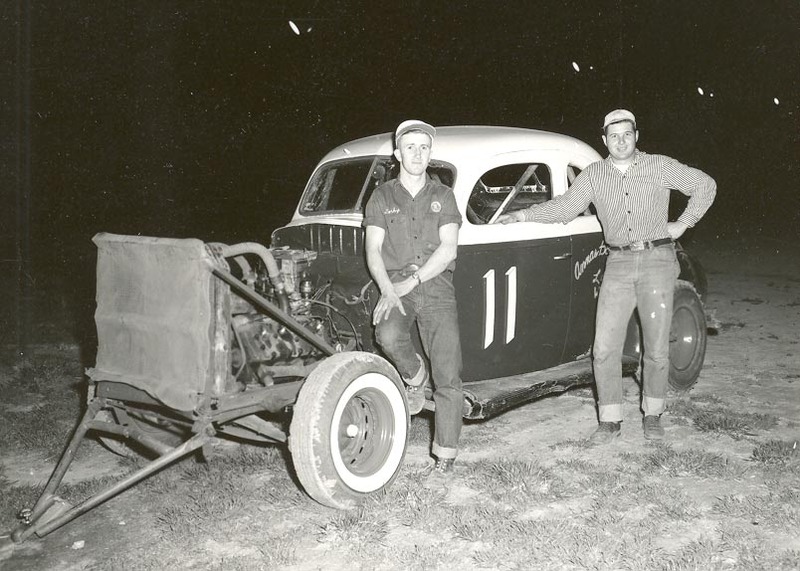 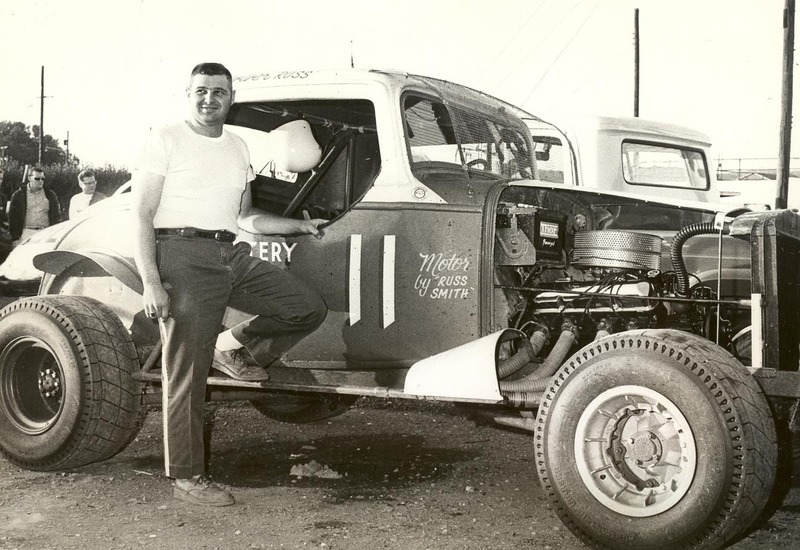 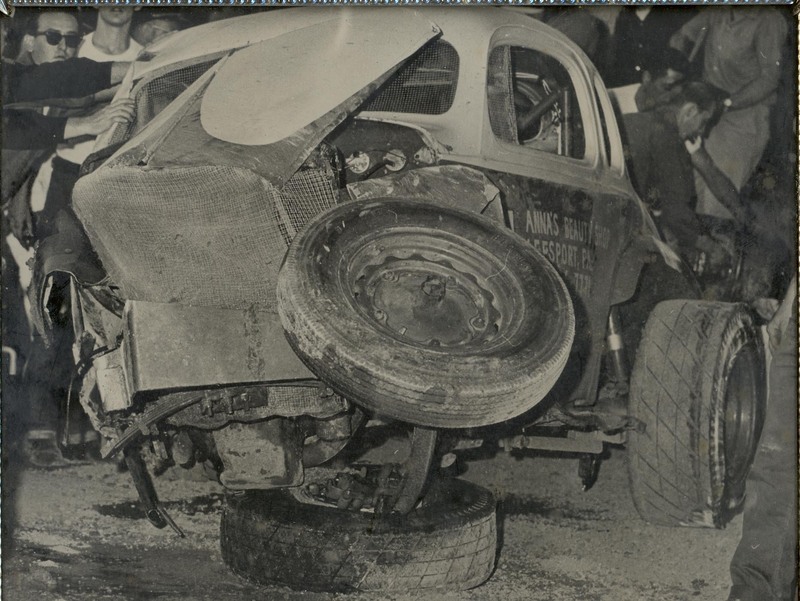 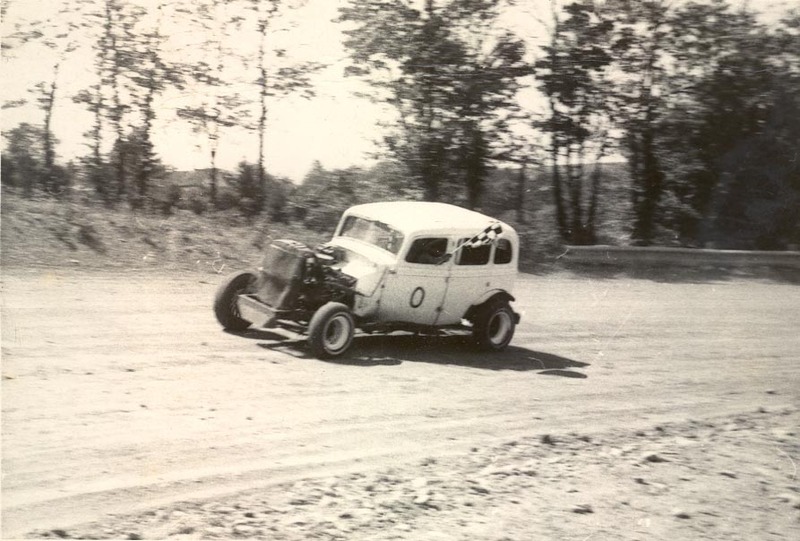 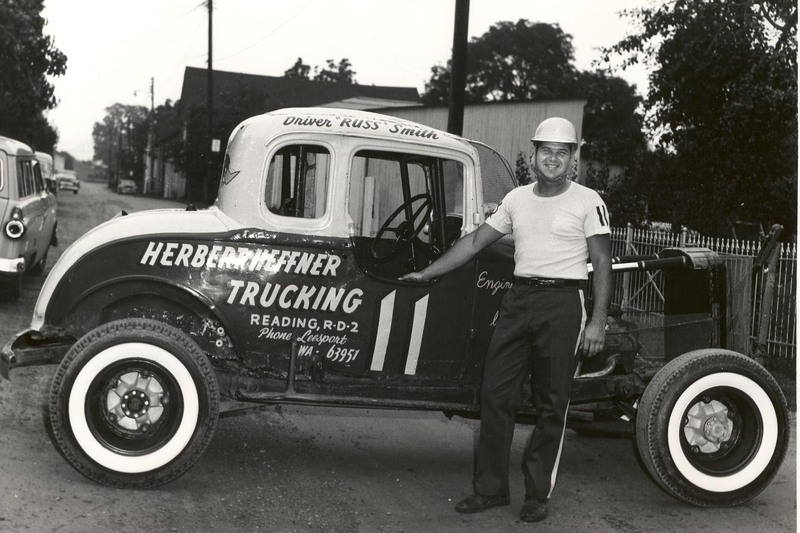 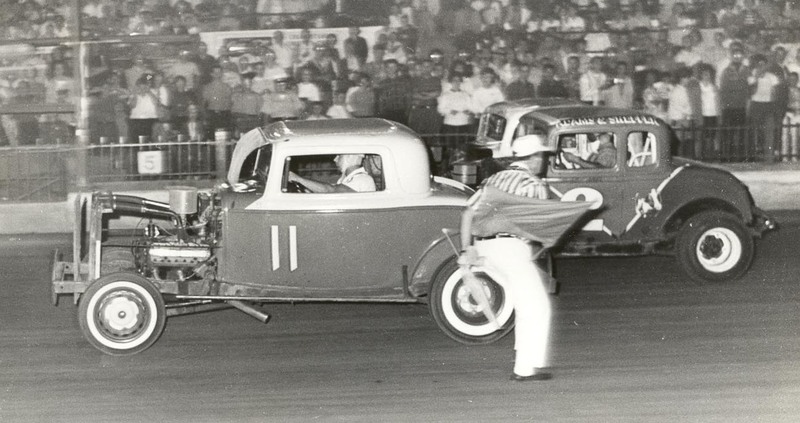 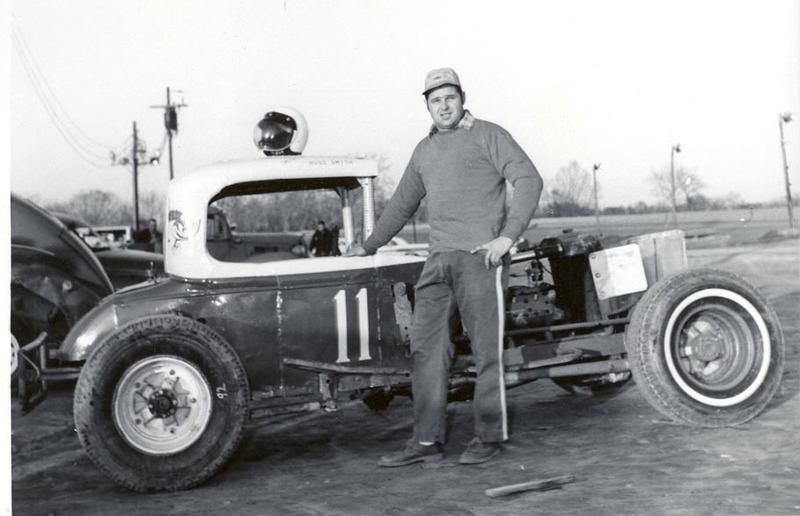 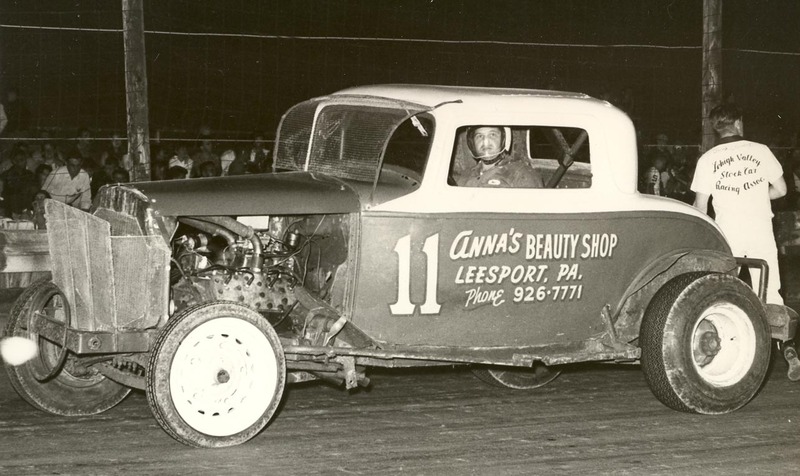 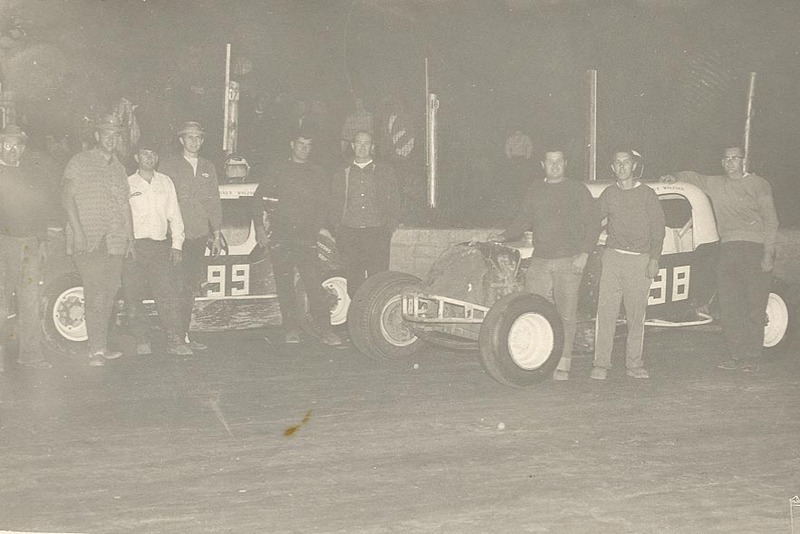 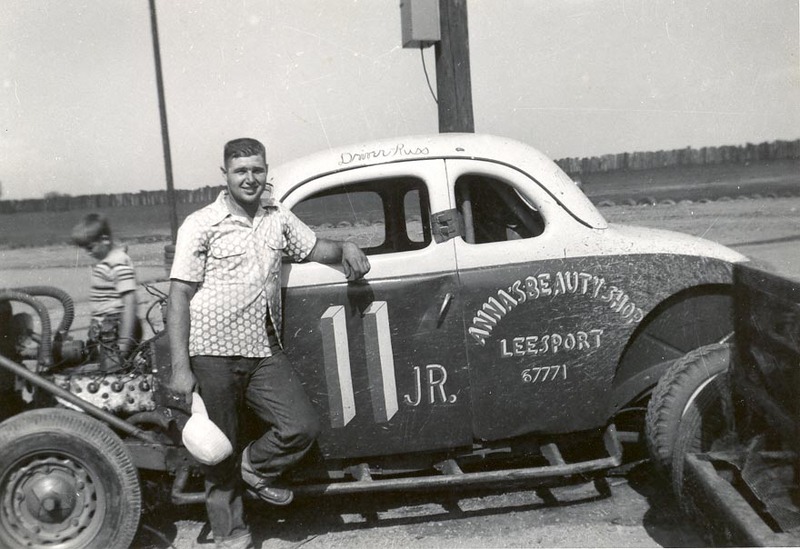 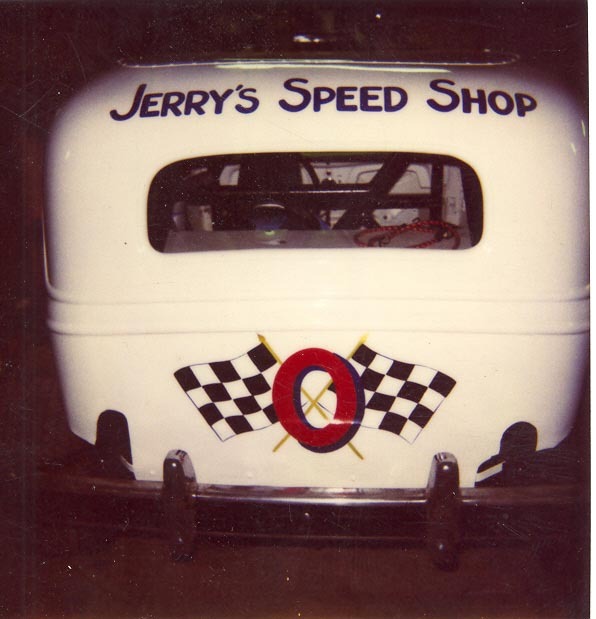 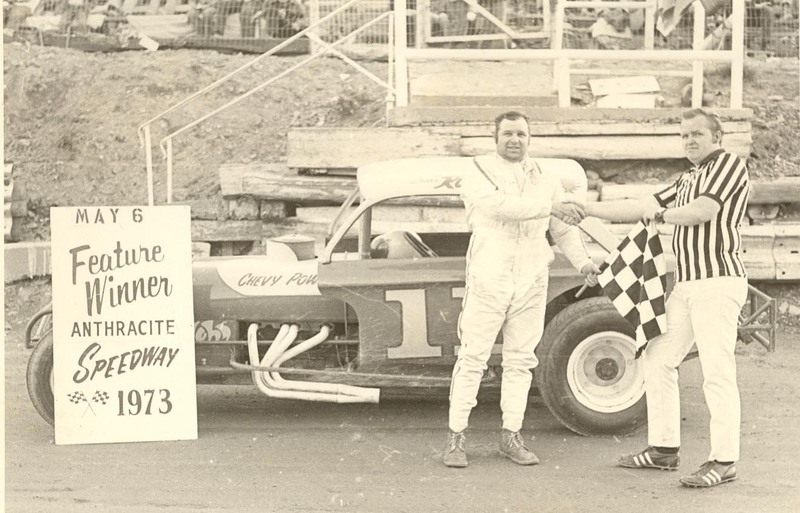 Russ races the original Jerry Katz #0 car in the 1950s.